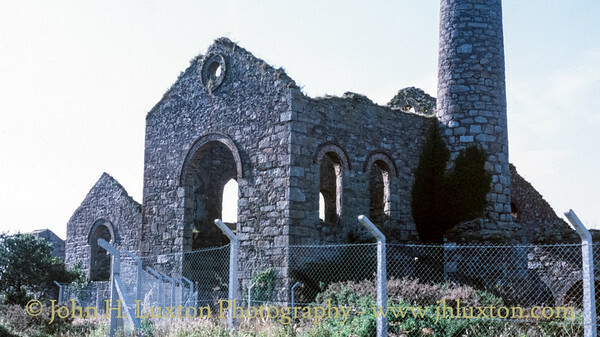 Basset Mines Ltd. was formed in 1896 as a union of South Frances United, Wheal Basset (and North Wheal Basset) and West Wheal Frances Mines. 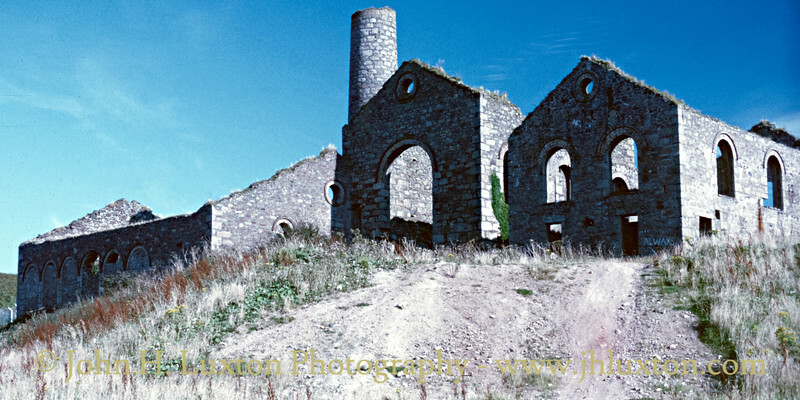 Between 1896 and 1899 a major refurbishment of the South Wheal Frances shaft was undertaken, enabling mining down to 6,000 feet (1,800 m). Basset Mines closed in December 1918 due to a slump in the price of tin following the end of World War I . The company was wound up in 1919. Total output from the mines before and after the merger was 290,118 tons of copper and 43,134 tons of tin. 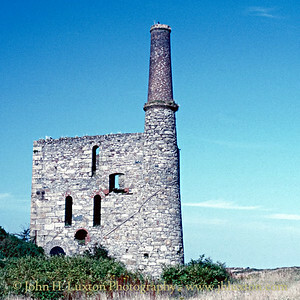 The Cornwall and West Devon Mining area was granted World Heritage status on 14 July 2006. 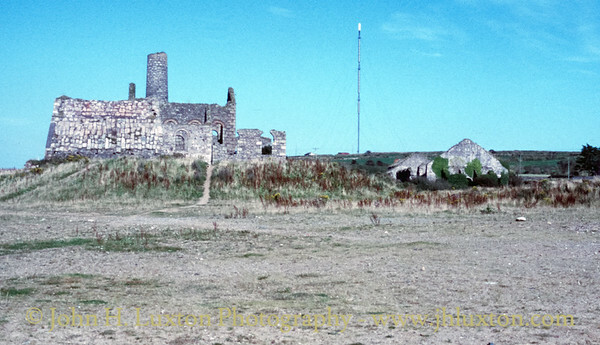 Surviving buildings include the Marriott's Shaft complex of South Wheal Frances, West Basset Stamps and Wheal Basset Stamps. The West Basset Stamps, which had a secondary beam engine to pump water for dressing, stands over an unusually fine example of a 19th-century tin dressing floor. 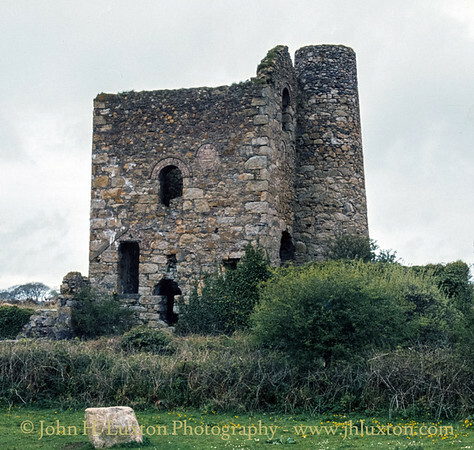 The Marriott's Shaft complex includes the pumping engine house, which held the only inverted beam engine in Cornwall, the houses for the winding, compressor and crusher engines, and the miners' dry. Basset Mines sett bound stone with Basset Mines Marriot's Section just visible behind. 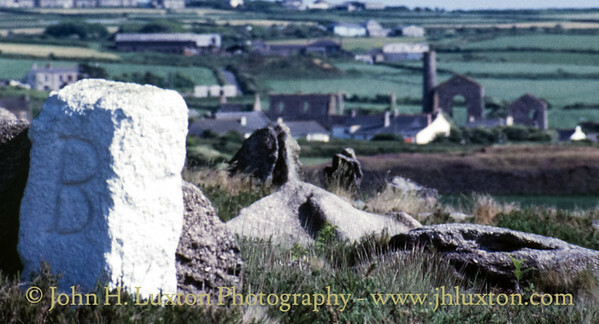 Viewed from West Carn Brea. 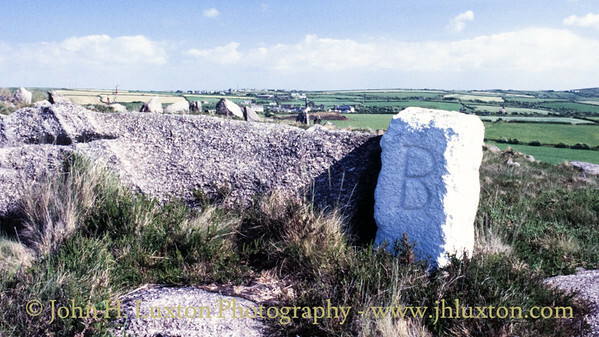 Basset Mines set bound stone. 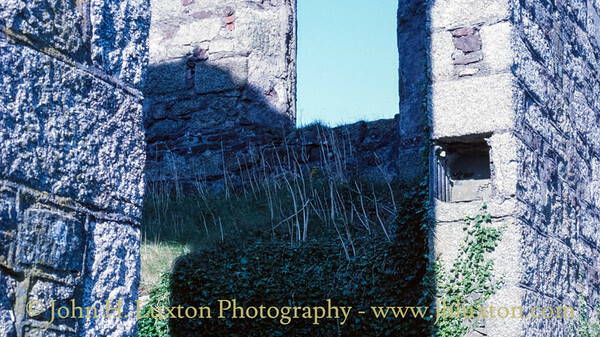 West Carn Brea. 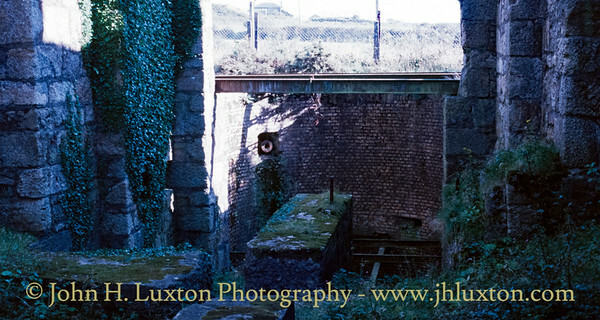 Wheal Basset Stamps engine house which accommodated two rotative beam engines powering a battery of stamps. 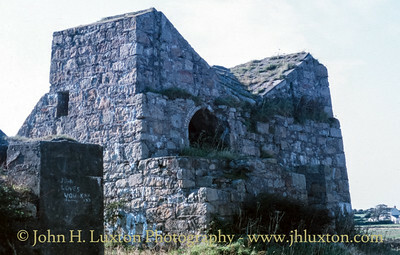 In front is the remains of the Vanner House where the ore was processed. 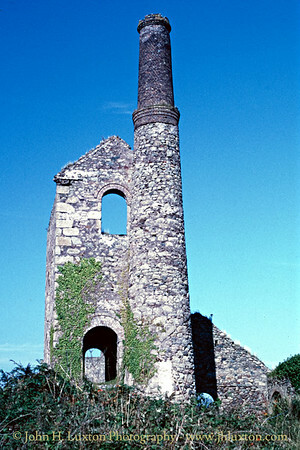 The unique pumping engine house at Marrioytt’s Shaft erected 1897-8 to replace an engine house containing an 80-inch Cornish engine destroyed in a suspected arson attack. The new engine designed for Marriott’s Shaft was a large inverted high pressure compound engine with 40 and 80 – inch cylinders. It was built by Hathorn Davey & Co., at their Sun Lane Works, Leeds; the partner Henry Davey (1843-1929) was born in Lewtrenchard, Devon, and served his first five years in engineering apprenticeship at the foundry of Nicholls, Matthews & Co., in Tavistock. Marriott's Section Buildings on left is the base of the ore sorter, ahead the compressor house and beyond that the pumping engine house. The miner's dry buildings at Marriott's Section. 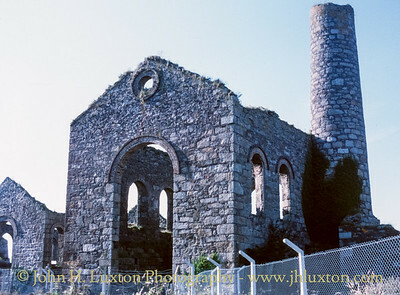 Interior of the the unique pumping engine house at Marrioytt’s Shaft erected 1897-8 to replace an engine house containing an 80-inch Cornish engine destroyed in a suspected arson attack. The engine beam was mounted under the house floor within the building and pumped from the shaft visible n the back ground. The new Marriott's Pumping Engine House was designed to accept a second engine if necessary. The new engine designed for Marriott’s Shaft was a large inverted high pressure compound engine with 40 and 80 – inch cylinders. 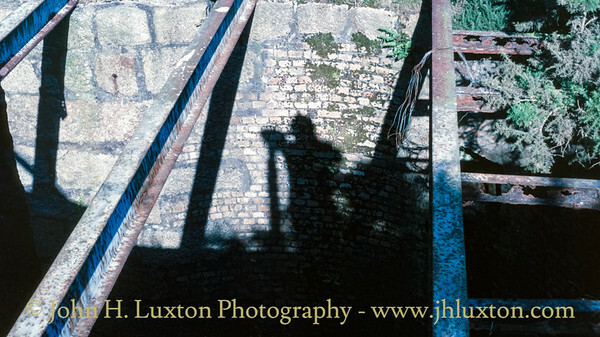 It was built by Hathorn Davey & Co., at their Sun Lane Works, Leeds; the partner Henry Davey (1843-1929) was born in Lewtrenchard, Devon, and served his first five years in engineering apprenticeship at the foundry of Nicholls, Matthews & Co., in Tavistock. 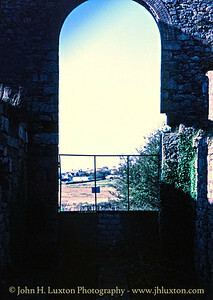 View through the pumping engine house where the unique (for Cornwall) under floor mounted beam engine was mounted. Space was provided for a second engine which was not installed. Interior of the unique pumping engine house at Marrioytt’s Shaft erected 1897-8 to replace an engine house containing an 80-inch Cornish engine destroyed in a suspected arson attack. The engine beam was mounted under the house floor within the building and pumped from the shaft visible n the back ground. 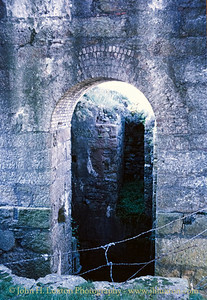 The new Marriott's Pumping Engine House was designed to accept a second engine if necessary. The new engine designed for Marriott’s Shaft was a large inverted high pressure compound engine with 40 and 80 – inch cylinders. It was built by Hathorn Davey & Co., at their Sun Lane Works, Leeds; the partner Henry Davey (1843-1929) was born in Lewtrenchard, Devon, and served his first five years in engineering apprenticeship at the foundry of Nicholls, Matthews & Co., in Tavistock. Marriott's Section buldings. 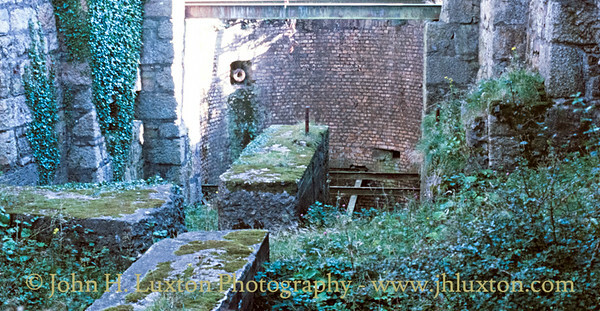 From left to right - boiler house, the unique (for Cornwall) pumping engine house built for the compound underfloor beam engine constructed by Hathorn Davey of Leeds and the compressor house. The boiler house housed six Lancashire boilers. The buildings around Marriott's Section at Basset Mines - nearest to the camera is the substantial base of the ore sorter. 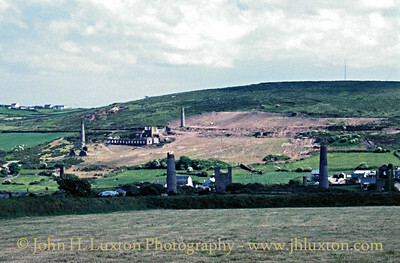 Basset Mines South Wheal Frances Section viewed from Marriott's Section. Pascoe's Shaft 80-inch pumping engine house right. Winding Engine house to the left. 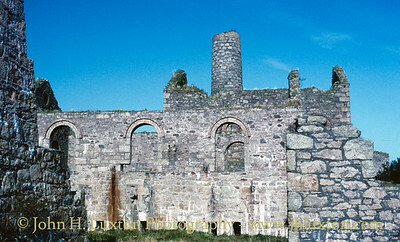 Basset Mines South Wheal Frances Section interior of Pascoe's Shaft 90" pumping Engine House. 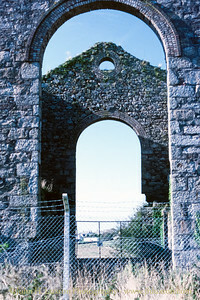 Basset Mines, South Wheal Frances Section, 80 - inch pumping engine house detail. 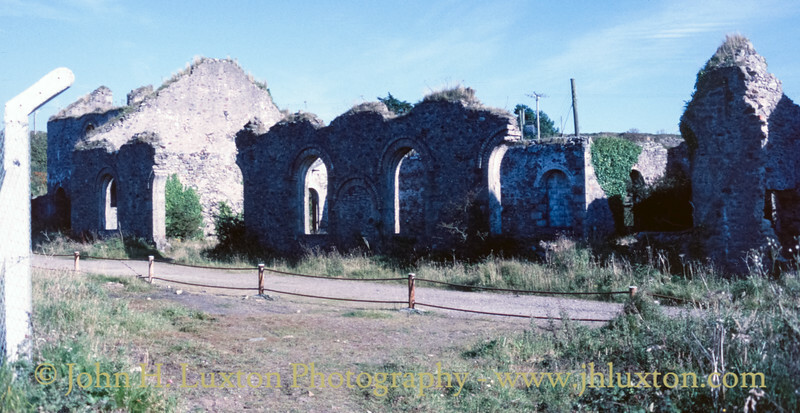 Basset Mines, South Frances Section, 80 inch pumping engine house. 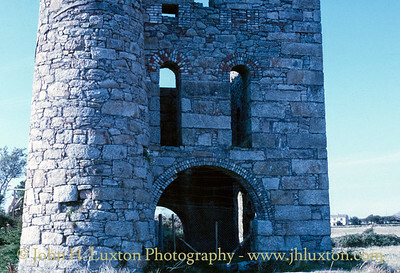 South Wheal Frances winding engine house. 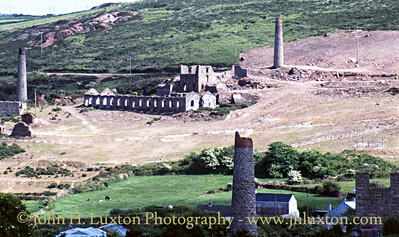 Daubuz 30" Engine House (1879) at Basset Mines.